Thank you EVERYONE that wished me a happy birthday yesterday. I tried to at least LIKE all the posts and reply to the messages. I had a final exam yesterday, and have been studying for others! (About to take a GIS final, actually). 2015 FAU Math Day (Pi Day)! 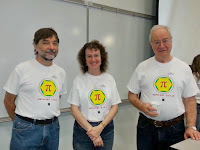 The eleventh annual FAU Math Day held on what was the Pi Day of the century, Saturday, March 14, 2015, on the Boca Raton campus of Florida Atlantic University, was once again a success. Apart from all this, everybody seems to have had a very good time. The morning competition was interrupted for a few seconds at 9:26 and everybody cheered for the many digits of Pi in action. 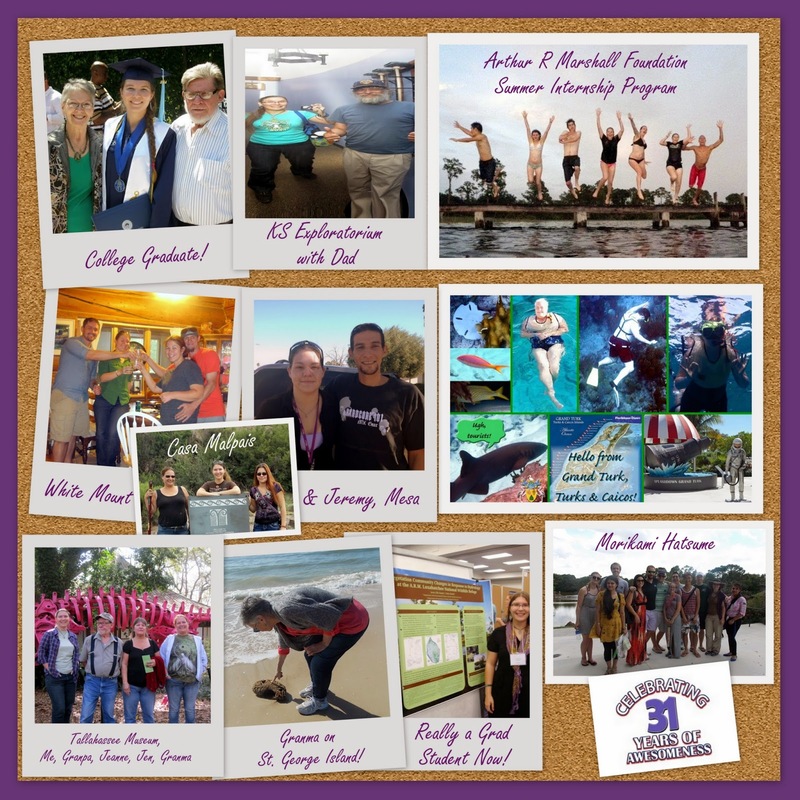 An interesting fact is that if time were continuous (which quantum theory does not quite allow) then sometime between 9:26 and 9:27 ALL the digits of Pi would be displayed.-Dr. T. Schonbek, Florida Atlantic University(From the FAU Math Day 2014 page, circa March 2014)More after the jump! This morning I attended theSolid Waste Authority's first annual Soiree! For the most part I wanted the chance to hike a new trail. It turned out to be a mostly paved trail, but otherwise a nice well-maintained short nature-walk sort of trail. Master Naturalist andARMFSenior Scientist Tara Bardi, and ARMF Educator Ana Maria Castillo, led a lovely 10:30 am tour on the Malachite Trail. Apparently, it's named for theMalachite Butterfly(which I didn't know existed)! It goes through hardwood hammock and over wet prairie. Afterwards, I walked the booths with my trustee booth-bingo card, and introduced myself to anyone that seemed like they would have volunteer opportunities, workshops, or projects thatMission Green Student Association at FAUcould get in on! Most were happy to trade business cards, and I didn't bring enough, actually.